The Short Against UVE: What do the Regulatory Filings Say? When looking at a P&C insurer as a potential investment for our fund, almost 99% of the more than 300 publicly traded companies in the P&C universe don't make the cut. One filter we have that immediately drops them from consideration is, if they haven't been around long enough to experience multiple economic and insurance cycles, they're out. And if they have been around long enough, most companies in the P&C sector have had crummy track records, meaning they didn't weather the inevitable, periodic downturns in the economy and soft insurance markets in a profitable manner. As a fund investing in P&C insurers who are in the business of taking risks, we are very risk adverse. It's easy to rapidly grow the top line in commoditized industries such as the P&C insurance business. You simply cut prices. But usually such growth is short-lived, and eventually it becomes time to pay the piper, in the form of outsized claims losses. If the premiums you've been charging have been too low, your premiums on the balance sheet will only fund a portion of the eventual losses you'll have to pay, so you'll have to dip into your own insurer's equity/surplus to pay out the rest of the claims. Depending on how far the insurer has to reach down and erode its own equity buffer, state regulators may take official notice and in the worst cases, take over the insurance carrier. 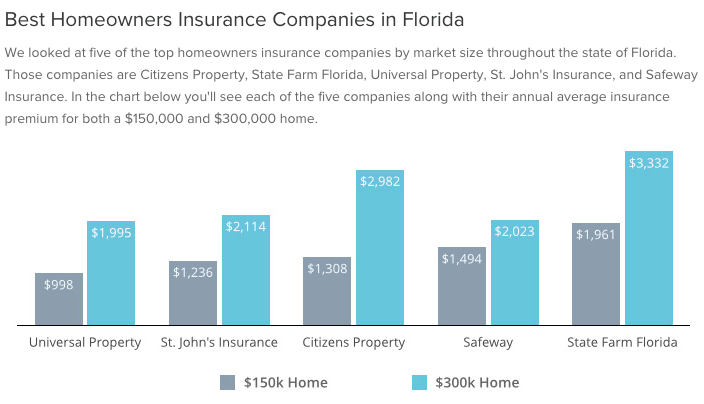 Some of the most "profitable" books of business in the past few years have been built up by homeowners insurance carriers in the state of Florida. Why? There haven't been any hurricanes for an unusually long time in the Sunshine State. Some homeowners insurance carriers in Florida have had tremendous growth in book value, as a result. This brings us to UVE. The short thesis from Lakewood Capital against UVE (Universal Insurance Holdings) has gotten a lot of buzz the last few days, with prominent hedge fund manager Lee Ainslie calling it the best short pitch he's seen in 25 years. We don't have a view on UVE, as we primarily look for companies to own for the long-term, if not forever. This also means by default, we spend most of our time saying no to investments in almost every P&C company. Management of UVE led by CEO Mr. Moneybags was cutting premiums to take massive market share in the Florida homeowners insurance market. As year after year passes without a hurricane, competitors start to cut prices as well. UVE matches or undercuts those prices to retain or gain even more market share. At some point competitors may have stopped dropping prices. UVE continues to undercut everyone to remain the cheapest insurer. As premiums come raking through the door, Mr. Moneybags takes a big cut of these premiums to pay himself a massive salary, year after year. Since these policies are usually one-year long, it's an annual gamble that for that year, a hurricane won't happen. If UVE continues to gain market share by reducing or keeping inadequate premium levels, all or a significant chunk of prior years' profits could be wiped out in a single day due to Hurricane [_______], as UVE has to dip into its book value to pay for those claims. And it may go under as even the equity is not enough to make policyholders whole. But, Mr. Moneybags will still have made a lot of money like the CEOs of some of the too-big-to-fail banks in 2008. UVE realizes that it has been taking market share as a result of inadequate rates and in turn has escaped mother nature's wrath as she's flipped 8 heads in a row on 8 coin flips. UVE decides to immediately raise annual premiums (with rate increases approved by state regulators) to adequately match the actual expected loss if a hurricane does occur during the policy year, and if they can't charge high enough premiums, they don't write the business. Customers start to turn away because of UVE's higher prices, and UVE starts to lose market share and revenue declines significantly year-over-year. This would be the best thing to happen for UVE shareholders. Think about that - the best thing for shareholders and policyholders would be a massive decline in top-line premium revenues. If I were the board of directors, that is exactly what I would do - ensure and communicate publicly that premium rates were going to rise significantly and immediately so that THAT year's and the PREVIOUS years' underwriting profits could be preserved. (Either communicate this or explain exactly how their reinsurance contracts were structured so favorably that adequately capitalized reinsurers have been willing to cover more and more of their risk.) Why should UVE's rates be so much lower than any of the other competitors in the state of Florida? Do they have a direct-to-consumer business model that allows them to be the lowest cost competitor and thus advertise more than its competitors, as GEICO does in auto insurance? Probably not. Is there some brand loyalty based on something besides price? Probably not. So, if they've lost market share due to adequate premium pricing (and a hurricane hasn't happened by then), the stock should stabilize at a fair, reasonable valuation. Will management realize that's what needs to happen? That raising premium prices and thus losing market share is in the best interest of shareholders? It may be too counterintuitive. The need to grow revenues year after year in a non-lumpy fashion is one of the most dangerous institutionalized imperatives in American business, especially in the P&C business. The stock may take a further hit as investors see this as an admission of guilt, but at least the company will survive long-term as its book equity will survive to see another day. It is then UVE should be buying back shares aggressively when the market has overreacted to a decline in top-line revenues as a bad thing, when in fact, such a decline has improved their chance of survival dramatically. In the context of the above two scenarios, the following point/counterpoint exchange between Lakewood and UVE seems a little strange to us. In response to Lakewood's point below: Shouldn't rate increases be a good thing? Or is the point mainly about ethics? And in response to UVE's counterpoint: Why is charging below actuarially recommended rates just to keep customers a good thing? We are confused, but then again we aren't as close to the situation as either party. Lakewood Capital's point in defense of its thesis: "Universal lied to its regulators, claiming it was losing money or making much less than it was, in order to get big rate increases approved, but these days appear to be over as pricing has leveled off and peers warn of rate pressure"
UVE's counterpoint: "This statement is false, constitutes actionable defamation, and shows how little its source knows about the insurance business. Any insurer's rate filings, including UVE's, are predicated on detailed financial data relating to several years of operations and experience. A regulator reviewing a rate filing has the benefit of not only the data in the current filing, but also the data set forth in prior filings, competitor's data, and the regulators' own analyses. The regulator performs its own calculations regarding the insurer's indicated rate needs, and the regulator will not approve an insurer's proposed rate changes if they are not reasonably aligned with the regulator's own analysis. To further illustrate the ignorance underlying this statement, the source apparently does not understand several other aspects of rate analysis and ratemaking. First, both the regulator and the insurer can benchmark an insurer's rates against those of competitors. UVE's rates being within the range of competitors' rates undermines the source's suggestion. In addition, the source fails to understand that throughout its history, UVE has filed proposed rates that have been less than its full actuarially indicated rates. An insurer often will take competitive considerations into account, such as moderating the rate impact to consumers to avoid adverse impacts on customer retention. It makes no sense to suggest that UVE somehow was trying to inflate its rate requests when UVE was making requests that were less than its indications." We have no positions in any stocks mentioned above, and we have no plans to initiate any positions within the next 72 hours.